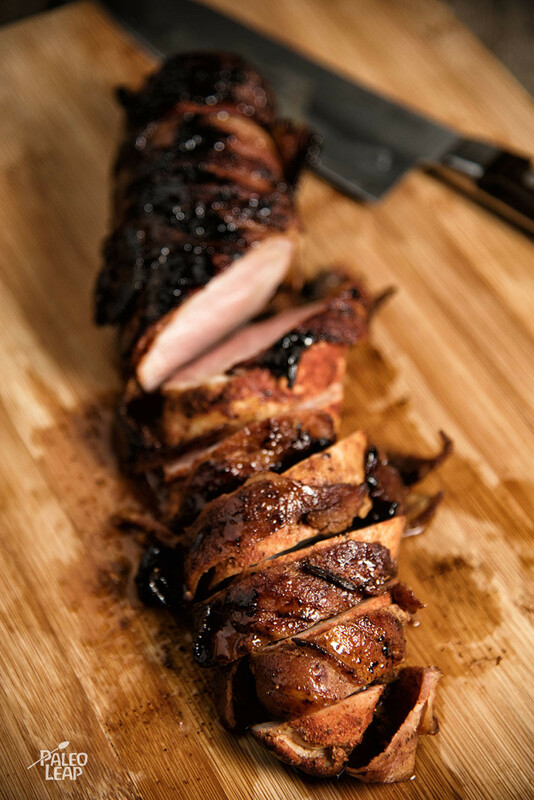 The construction of this recipe is basically in layers: tenderloin in the middle, a spice rub, a bacon “blanket,” and a sweet-sharp glaze with maple syrup, mustard, and applesauce over the outside. 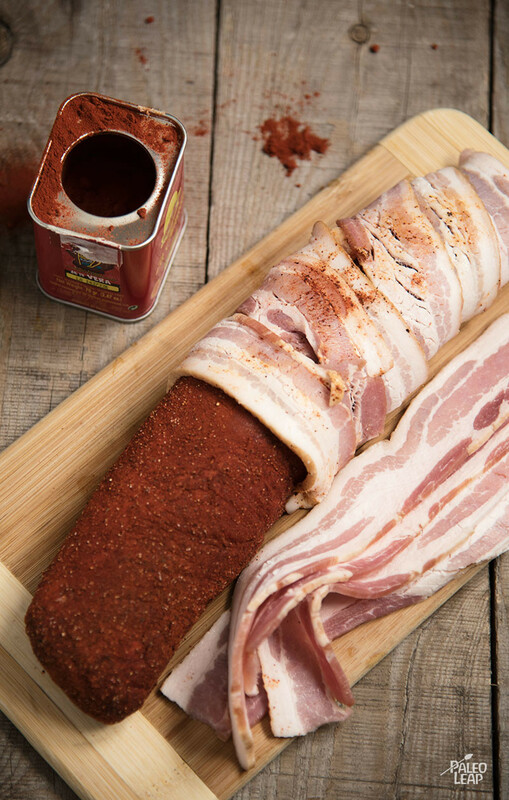 The bacon helps keep the tenderloin from drying out in the oven (or at least gives you a little more wiggle room for cooking time), and all the flavors slowly mix and combine while it’s cooking. The vegetable sides for this could go in a sweet or in a spicy direction, depending on your preference. For example, you could do roasted squash with chili powder, or the same squash with butter and cinnamon. Fried onions with mustard and black pepper, or roasted carrots with maple syrup. Or do something completely different that sounds tasty; it’s hard to go wrong with this one, and very easy to go right. SERVES: 4 PREP: 15 min. COOK: 35 min.